Welcome to the third round of our monthly series “Best of Country by Travelers Around the World”! Every destination has its standard cliched icons. But the best travel experiences are personal, and the things that stay with us are not always the most famous, iconic sights, but those meaningful, inspiring experiences that make travel worthwhile. In this series, we asked travelers to contribute photos that best represent what their time in Australia meant to them. In 2010, we got the chance to explore the east coast of this continent-nation. What made us fall in love with Australia is the beauty of her nature, and the wild life contained within. The Great Barrier Reef, the gorgeous coastline, the dense rainforest, the salt lakes, just to name a few. Salt water crocodiles, kangaroos, koalas, fairy penguins, and many other astounding animals made us love Australia even more. We had hard time picking only 1 photo! Our fellow world travelers have been kind enough to send their photos of their best Australian memories, and every single time I opened the email from them, I was thrilled by what I saw. I can’t wait to share this excellent collection of photos with you, and I hope it brings back great memories you have about Australia, or makes you want to visit this beautiful land! On a grey and cold october weekend I decided to go Kayaking in Byron Bay. It was a birthday gift for one of my friends and we were really looking forward to it. It was raining the whole morning but we decided to give it a try and paddled out. 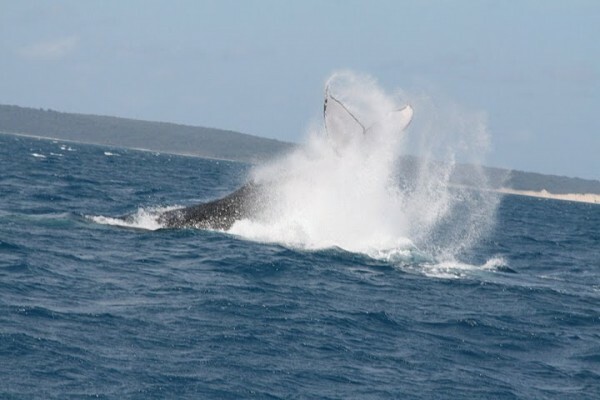 After crossing Julians Rock we saw a Humpback Whale breaching on the horizon and after a couple of minutes he appeared about 200 meters away from us. We were fascinated by this mammal and stopped paddling, we were only drifting in the water. After 4-5 minutes he was gone and we decided that it was time to continue our journey. 2 minutes later my Kayak was lifted by this huge Humpback Whale. Our guide was as shocked as we were, he did these tours for years and never got that close to a whale. 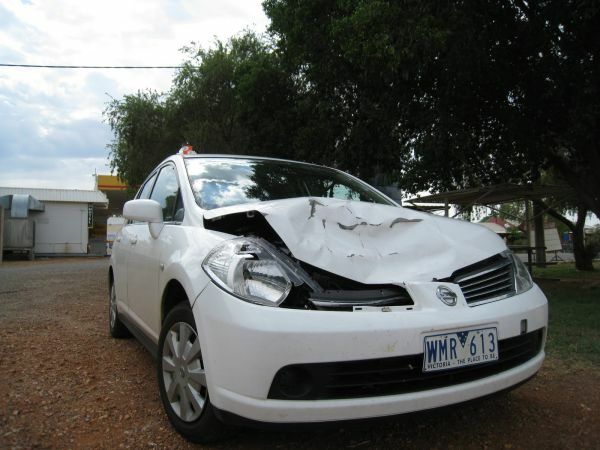 Basically, I have no idea how people do NOT hit kangaroos, at least on the roads that I was on. I must have seen 200 of them in a stretch of a hundred kilometers at one point. They just sit on the side of the road. You have no idea when they will hop across the road. They are incredibly erratic and you cannot predict what direction they are going. Hell, I was lucky to hit only one of them, but it was a big one. Vital tip. You simply cannot drive at night. Australia is the land of many long roads and big wide open spaces. 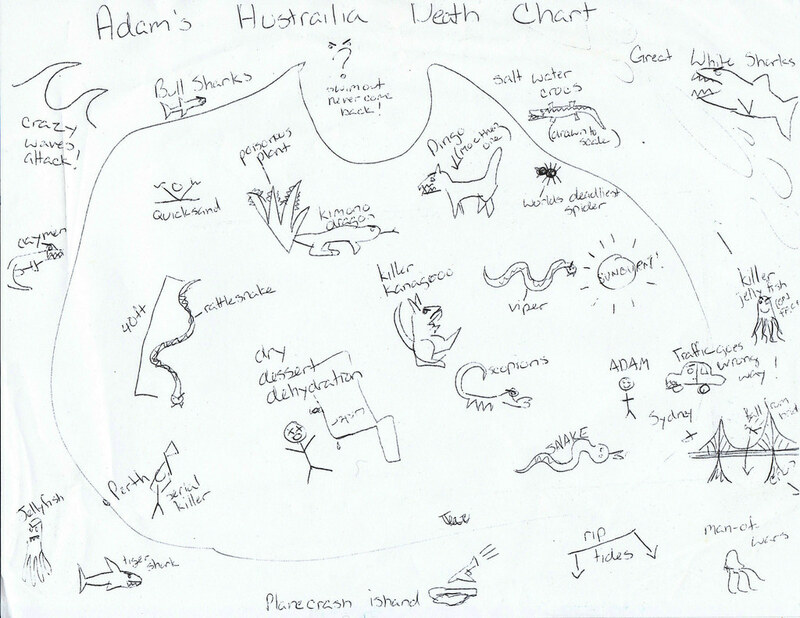 I learned that a map of Australia is deceiving. What seemed like a short drive from Adelaide to Melbourne actually took more than 12 hours with numerous stops for pictures. The Great Ocean Road had too many pictures opportunities with stops for views, beaches, forests, and a sunset. At some point I had got tired of taking so many pictures and had to just enjoy it for what it is. It’s a beautiful country. We spent three weeks campervanning from Darwin to Alice Springs and loved driving through the wide open spaces of the outback. 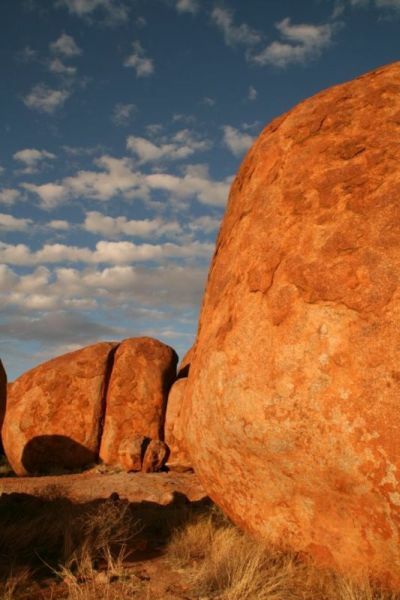 One of our favourite stops was the Devil’s Marbles – crazy rock formations in the middle of nowhere. We camped right next to them and watched as the rocks glowed at sunset. For us Australia was all about nature and having a camper van was a great way to experience it. 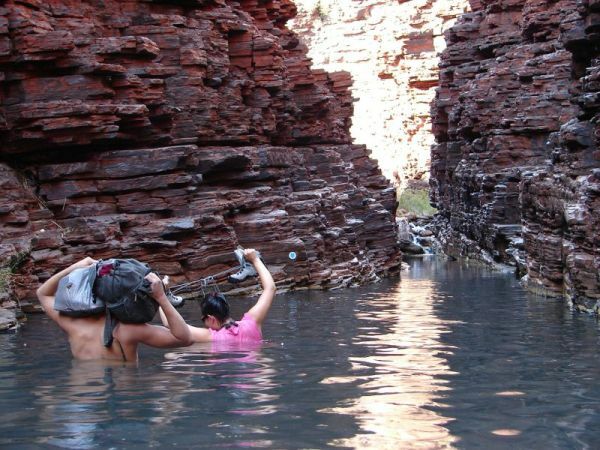 The Karijini National Park is my favorite insider travel tip for Australia! The gorges are very typical and famous for the Karijini Park and with it, the highlights. 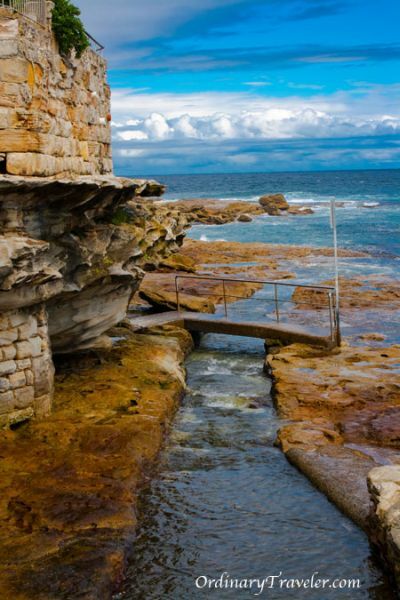 Australia is a huge island and what really defines the country for us is its coastline. 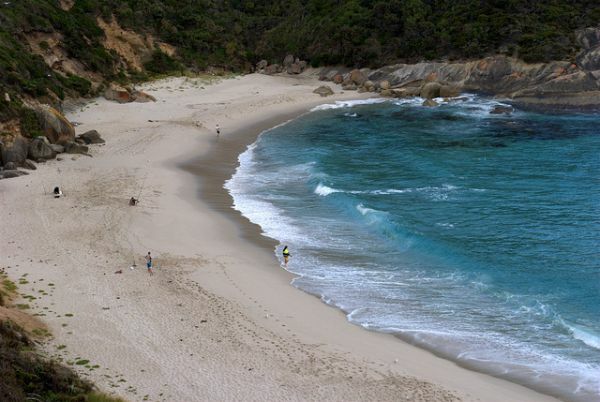 Aussies love the beach and a large portion of the population lives close to the ocean. Swimming, snorkeling, diving, surfing and boating are popular activities and famous attractions like the Great Barrier Reef attract visitors from all over the world. The beaches in Perth and Queensland are our favourites. In Perth, where John grew up, you can go out to these wide sandy beaches and just walk and enjoy the sound of the waves crashing – and it isn’t difficult to find a wide open stretch all to yourself. The sunsets in Perth are particularly spectacular. 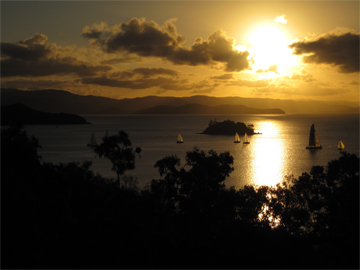 This photo was taken from the deck of a house we rented in Hamilton Island for our wedding week. 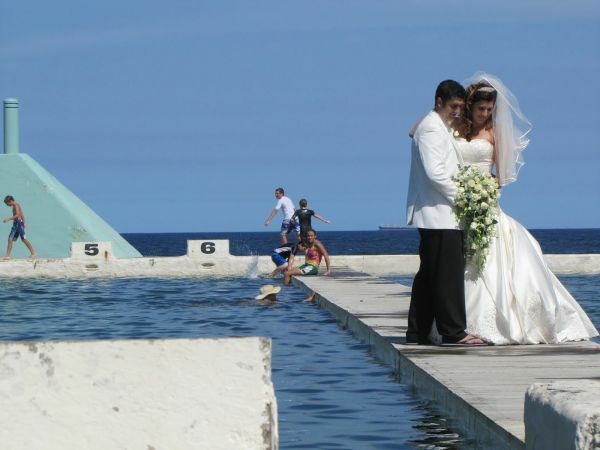 We chose to get married by the water because it is so important to us. As salmon migrate west, fishermen flock to the beaches of Western Australia, hoping to make a great catch. Beaches in WA, both the sand and the water, are some of the most beautiful ones in the country. The best memories I have of Australia are because of the environment and everything else natural there. One minute you’re sunning yourself on the golden sands, next you’re in the rainforest avoiding the endless list of deadly animals that live there and are out to kill you, then before you know it you’re surrounded by nothing but red dirt for as far as the eye can see. It’s such an immense place down-under! There’s so much to do and everywhere is different. It’s definitely my favorite place on earth! 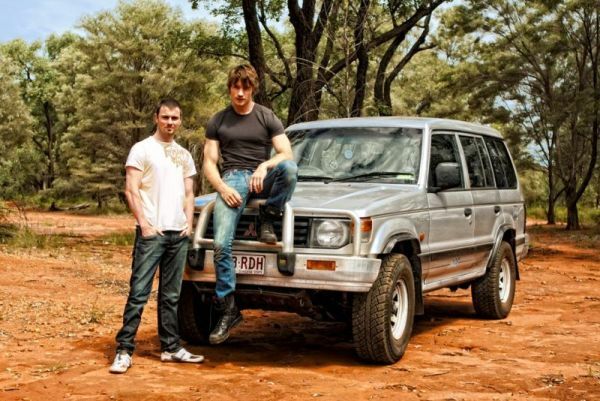 This photo was taken in April of 2010 during our two week journey up the east coast of Australia. During our stay in Australia we couldn’t miss visiting this iconic beach. This was the last bit of sun we saw that day before it started pouring rain on all the beach goers. 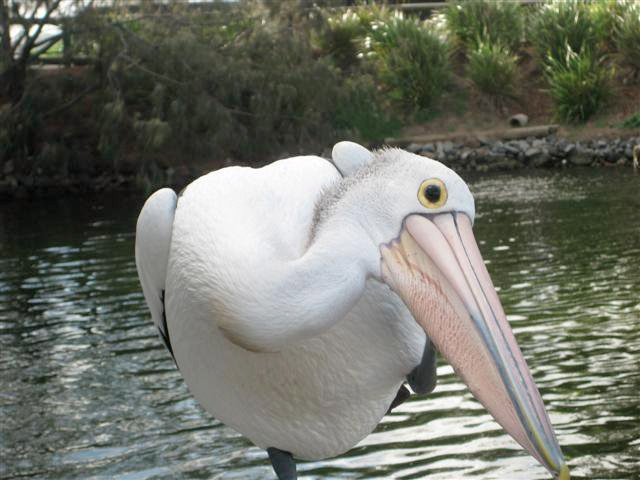 We got up close and personal with an Australian pelican during our time in Queensland. These birds are common throughout the country but they are a beautiful species and definitely make a good photo subject! We drove off the main paved road and carefully made our way to a tiny dot on our map. When we arrived at a dead end, this is what we were starring at- Ellen’s Point. I can’t describe my love for Australia in a few words, but I think this picture gives a good sense of the feeling. There are big cities, lots of wildlife and plenty of space outdoors where you can just be. 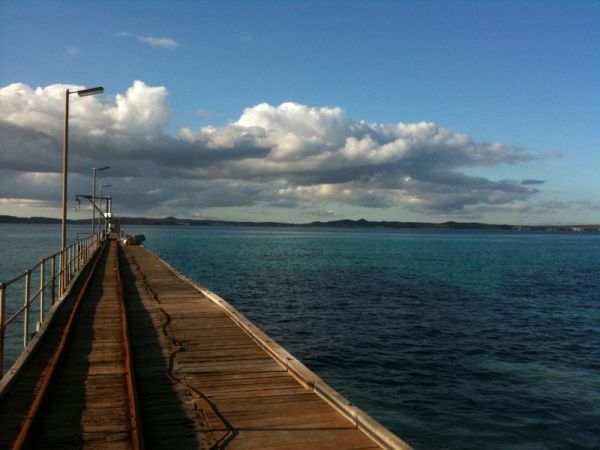 Here was this beautiful pier, all by itself with no one around and just us. It’s easy to put life into perspective when all you can hear are the ocean waves and your own thoughts. I heart Australia! Whenever I think of my short time in Australia, I (like many before me, I’m sure) almost always think of Circular Quay first. This part of Sydney — with the Opera House, Harbor Bridge, The Rocks and so many restaurants, bars and cafes all in close proximity — was my favorite, probably because it was so cool to actually be hanging out in such an iconic place. This particular photo was taken on a ferry from Circular Quay to Darling Harbour, and is still one of my favorite images of Sydney. I feel like it just captures everything I loved about the short amount of time I spent there. I can’t wait to go back someday. 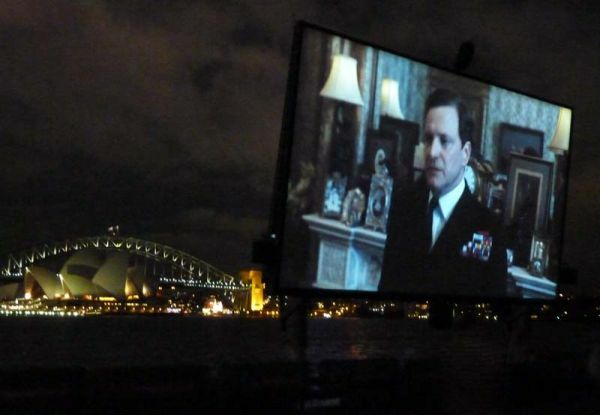 When a friend invited me to see “The King’s Speech” in Sydney a couple of months ago, I had no idea that I would end up at the St. George Open Air Cinema inside of Sydney’s Botanical Gardens, watching the film on a huge waterfront screen, with the Opera House, Sydney Harbor Bridge and the downtown area all in clear view. It was by far the most spectacular setting to watch a film that I had ever come across and luckily, despite the distraction of this perfect night time scene in front of me, I somehow managed to watch and enjoy the film as well! 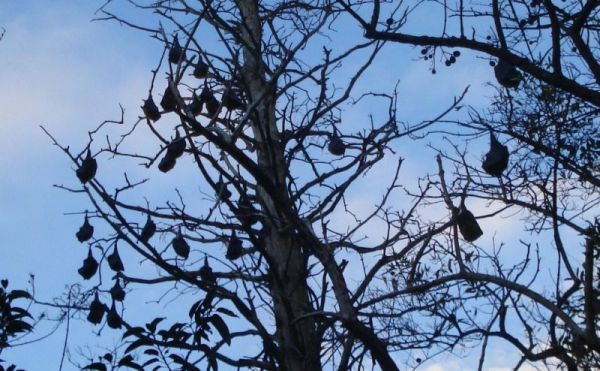 Inside the Royal Botanic Garden in the middle of Sydney, Australia, thousands of the world’s most enormous bats slumber in tree branches by day then fly off into the moon when darkness arrives. Darkness is what fellow worldwide vagabond Dina of VagabondQuest and I waited for as we ooh’d and ah’d over the huge round bats swinging gently from the branches in their sleep one dark night. Finally the moon arose and off flew the bats, one by one. “Let’s lie down in the grass!” Dina shouted. So we did. From this ideal vantage point, for 15 quick minutes we got to watch bats the size of Cocker Spaniels fly across the moon. It was chillingly delicious. As the police were repeatedly driving through the park warning loiterers to get out before getting locked in, we had to flee sooner than we would have liked. No matter. Bat night with Dina will always be my favorite Sydney memory. My favourite Melbourne activity is to get on a bike and head nowhere in particular, while looking up, down and sideways to tour the spectacular ever-changing artworks that splash the lane-ways and back-alleys. 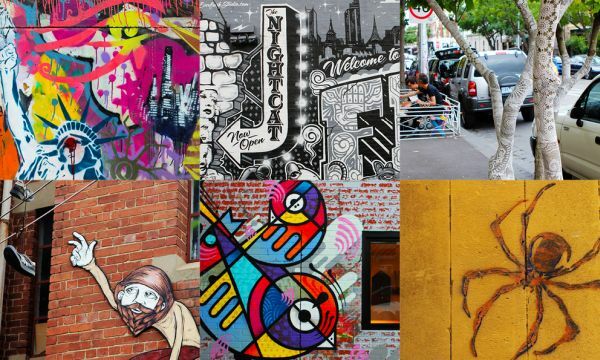 It’s the visual arts culture that makes this city stand out from it’s big sister, Sydney. It’s not the best example of my photography, but it was just such a randomly Australian image. Showing my then girlfriend around the Newcastle foreshore, we took a few minutes at the historic Newcastle Baths to shelter in the shade. I looked up and saw this deliriously happy pair of newlyweds (resplendent in thongs which left ‘Just Married’ footprints in the sand) posing at the baths. It just symbolized perfectly the Novocastrian link to the beach. The kids in the background, enjoying the same public baths their grandparents probably did, also speak volumes for Newcastle’s proud beach traditions. One thing I wasn’t expecting about Australia was its strong cafe and coffee culture. 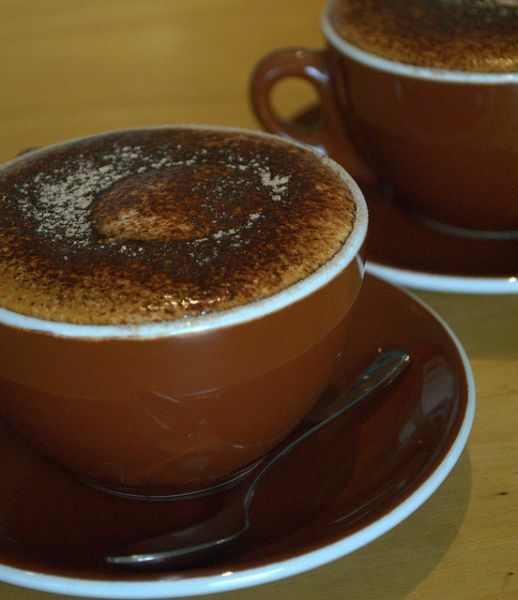 After visiting Australia’s eight main states and territories, I found some of the best cappuccinos, lattes, and mochas I’ve ever tried. If you want to order something a little different, ask for a “magic” when you visit Melbourne (a double shot of espresso in a slightly smaller cup than the other drinks). One of my three favorite coffees all year was the cappuccino in this photo (from the Naked Bean in Western Australia). 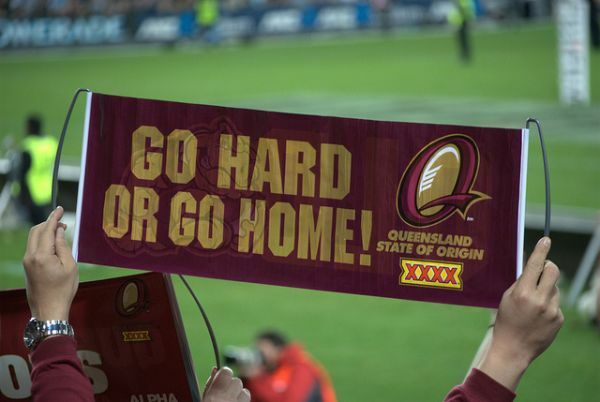 Every year, some of the country’s best rugby league players face off in State of Origin, a best-of-three series in which the Queensland Maroons battle the New South Wales Blues for year-long bragging rights. After watching Origin on TV since 2006, I finally attended two games in person in 2010 and watched my Maroons win the series for the fifth consecutive year. 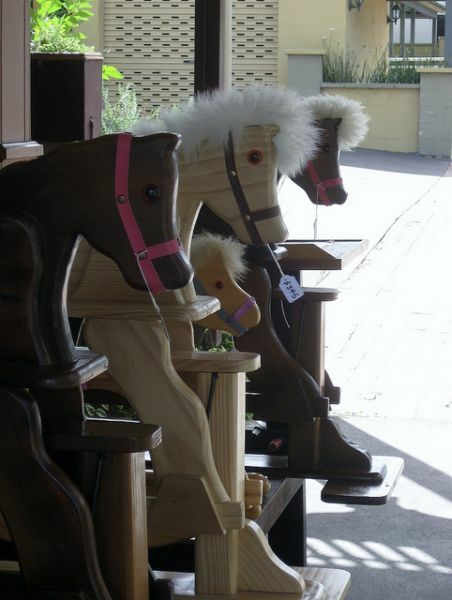 Handmade rocking horses lined up in Kangaroo Valley, NSW, a very traditional small town a few hours south of Sydney. 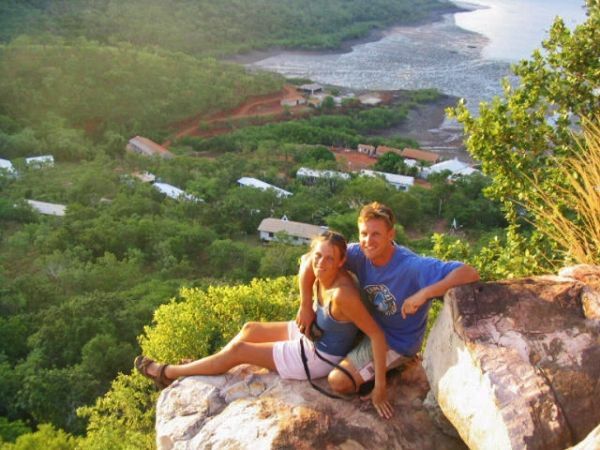 This is the pearl farming camp we lived on for 5 months in North Western Australia. The nearest road was 180km away and we would have to catch a sea plane from Broome to camp where we would work for up to 5 weeks straight, tendering to Pearl Shells. It was gruelling work, but we were able to spend our free time exploring what makes the Kimberly area so unique and beautiful It was truly wild and free. Can’t be denied here that kangaroo is the most iconic symbol of Australia and they make big impression in visitors and locals alike! 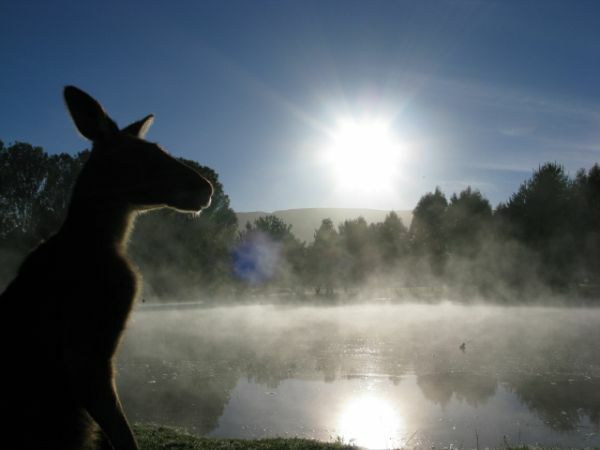 This is reflected in many kangaroo containing photos we received, so we keep the best for last! Surprisingly, we received no photos of Koala. Australia has so many iconic experiences for any visitor, and given the 18 months I spent there, it’s tough to narrow it down to just one! Despite the impressionable experiences of surviving bushfires and traveling over 16,000 kms by train, the biggest impression Australia had on me was the wildlife. From personal encounters with birds, to wombats, to koalas, and even the snakes and spiders, Australia has so much unique wildlife to offer. But nothing tops Bracken, the kangaroo that lived on my doorstep for six months and followed me around religiously. Thanks, Bracken, for making Australia, well, Australia! Australia is a land of stunning contrasts – the cities are truly world class, but the regional areas which comprise over 99% of the nation’s land mass are from another world. 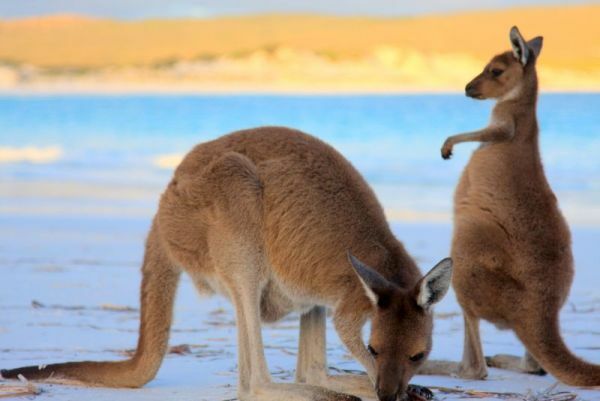 In this photo taken at Cape Le Grand National Park in Western Australia, the nation’s pristine beaches host kangaroos that are more interested in eating seaweed than camera toting tourists. Drive an hour west and you enter the town of Esperance that has all the modern conveniences one could want in a stunning seaside location. The southwest of Australia is truly a spectacular place that has the best of the natural world while being in close proximity to civilization. 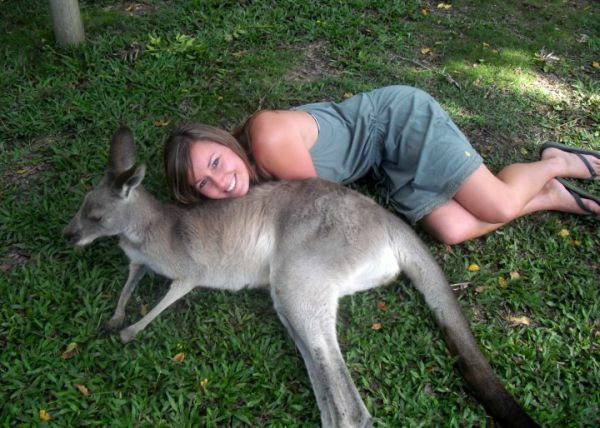 Here’s my sister Molly ‘spooning’ a kangaroo. Hahaha, good times! We were at a wildlife sanctuary near the Gold Coast and there were kangaroos every where. All you needed was a handful of food and they would come right up to you. 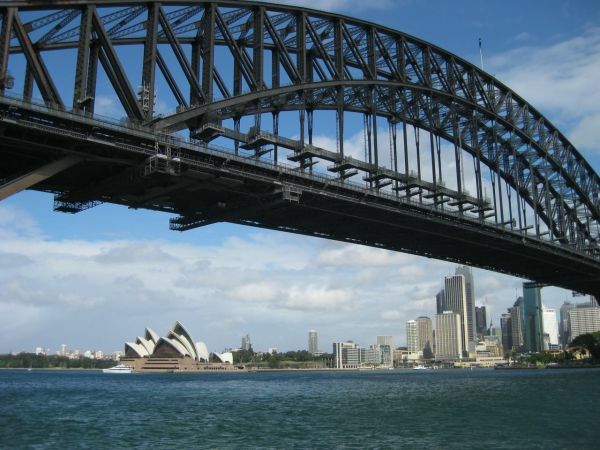 Our trip to Sydney in January of 2005 still stands out as one of the best trips – and we travel a lot! There is a warmth of hospitality in Australia that is matched only by a few other nations and our timing could not have been better as the spring/summer season made for a warm escape from winter back in North America. Our friends took us a petting zoo in Cronulla, a relaxing beachside city just outside of Sydney, and we had a marvelous time roaming around this small zoo and getting close to animals. I had dreamt of seeing kangaroos but didn’t even imagine being able to get so close to feed and touch them. Those make for some of the best memories from Australia. That and the extremely warm hospitality of the Aussies. No wonder we are going back in November for an extended trip! 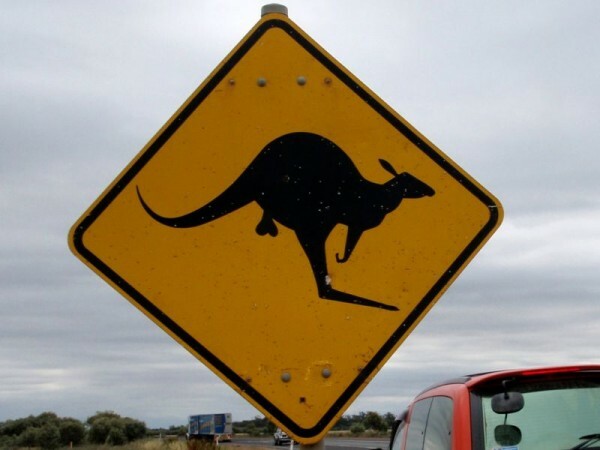 Not only Australia has a lot of funny animal street signs like for kangaroo, wombat, cassowary, and koala, but some people came up with great ideas to modify them. The “before and after” cassowary get hit by vehicle in Daintree Forest is perhaps the most famous one, but the one we love the most is this “ballsy kangaroo” aka kangaroo with balls, that we found on a quiet road somewhere in NSW. If you’re headed there, watch out! If you already live there, congratulations on being alive. What about the rest of you, guys? Tell us your favourite memory of Australia! Japan has suffered from a recent disaster, but the vast majority of the country is perfectly safe to visit. We thought this would be a great time to focus on all the things that make Japan one of our favourite countries in the world. Have you traveled to JAPAN? Do you want to share your memory of it? Anybody can participate! Your name, and if applicable blog name and URL. Please include your Twitter or Facebook if you have one. « Fly Like Superman and Swing Like Tarzan in Costa Rica! Some great shots here! It’s great to see other people’s perspectives after having just completed my own oz roadtrip. I know! For me, some are nostalgic, some reminds me that I need to go back there!! The post turned out great, guys! I loved scrolling through all the photos – Australia sure is a beautiful and varied place. It definitely makes me want to go back! Great tips here – Australia is such a beautiful country. Love all the cute kangaroo photos! Thanks for including us. We haven’t been to Japan but have a house sit in Kyoto in August so are looking forwarding to getting some tips in the next series. 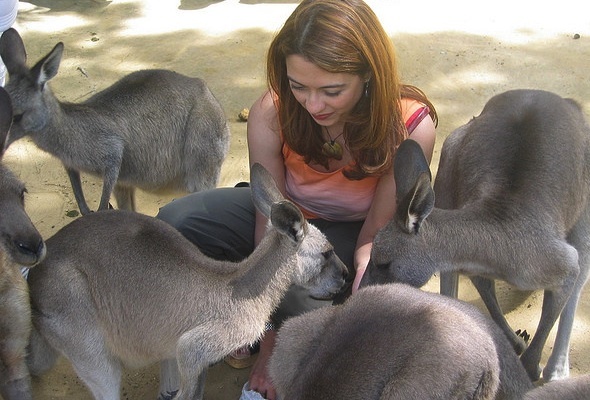 I was about to post a picture of me with a wallaby climbing on my body, they are such cutie pies! House sitting in Japan? Sounds wonderful! How long you guys will be there? We are thinking of taking Asia journey after August/September. We’ll be there from end August to mid September and then will probably head to SE Asia. Hopefully we’ll cross paths! Thanks for including me and putting this series together! You know how much Australia means to me, and it was great fun seeing everyone’s photos. What a fantastic round-up and I love all the other photos and am so honored to be included here, Dina. Go Australia! Love that country! Happy travels!! You looked like enjoying the kangaroo interaction so much in the picture. It’s amazing isn’t it. I went to kangaroo park several times, and each was so much fun! This post TOTALLY made me want to go to Australia â€¦ which is funny â€¦ because I already live here. I’m now inspired to buy a 4WD, a jerry can of water, some food, a tent, and head off exploring. Though the last time I tried to drive to Perth from Melbourne, I gave up in Adelaide. Really great post, guys. Thanks for including me. Hahaha! Perth-Melb drive sounds very far. How long driving is it? Yeah, we haven’t explored the center, north, and west yet. Maybe next time we are there! Some really great photos here! Opens my eyes just that little more as to how beautiful my country is. Thanks for including us! Your country is gorgeous, Caz, and the wildlife is so unique! The first thing I did when I got to Australia – I went to bookstore to get book “Most dangerous animals in Australia” (or something like this). Haha! We saw a 5m long salt water crocodile along with other smaller ones, probably that was the most dangerous one we saw. We tried hard not to fall off the boat. Great round-up again! I want to go back to Australia now! Thanks, Jade! You helped make this post happen! Beautiful pictures – now I cannot wait to go to Australia. This summer I’ll be going to Sydney and Cairns / Great Barrier Reef but after seeing these pictures, I think I’ll want to go back and explore more of Australia! Although the cartoon did scare me off a bit!! My Australian friend likes to tell me that I’m going to get eaten alive. Haha, that cartoon is funny. We saw a 5m long salt water crocodile along with other smaller ones, probably that was the most dangerous one we saw. We tried hard not to fall off the boat. Heather, sorry I know very very little about rugby. The thing I notice the most from the photo is the “XXXX”. Awesome pictures! Thanks for including me again. Wish I made it to Japan. I’ll stick around for the next one after. Hi Mike, that’s a really nice photo of Great Ocean Road. Did you actually find anybody drive in the wrong side there? Thanks for this, I’m currently planning a trip to Australia and I’ve loved reading about these experiences! Trying to pick a picture for Japan, but there are so many to choose from! p.s. send my picture of Japan. Awwww, thought I’d sent ya’ll my “hitting a kangaroo with a rental car” story for the kangaroo section. Damn my procrastination! Love this post! Haven’t been to Australia yet, but Melbourne is getting higher and higher on my list. Also really looking forward to the Japan post – can’t wait to get some tips for our visit. Never been to Australia, its landscapes must be truly overwhelming..
How lucky am I? I’m already living in OZ – but so enjoyed all these photos that give a different perspective to mine!! Is it too late to enter something?? Yes, you are lucky to live there The nature is so gorgeous there… And you still can send a picture if you like, I’m still updating! This is one impressive roundup. Loved the photos of all the water, and those cute kangaroos as well. I’m beginning to re-think my disinterest in Australia as the outdoors are very compelling. Would have to be as a plan to fly to several countries in that part of the world, the 24 hour flight times frighten me. The Great Ocean Road is what I’m looking forward to (besides the Great Barrier Reef)! I’m in love with road trips and after all the beautiful pictures I’ve seen, I know it will be amazing. Great idea for a series of posts and I love love love Australia too! Awesome meeting you guys at TBEX! Let me know what the next country us and maybe I can contribute! I just sent you an email with a story to update this article Hope you like it! 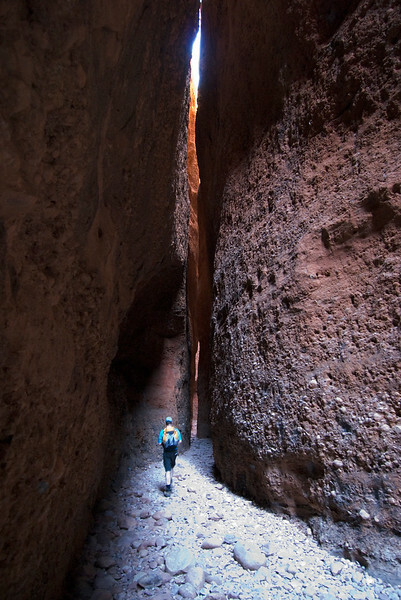 I loved the photos in this article – a nice collection from other travelers. The one with the dent from a Kangaroo made me really chuckle.